July 29, 2014 - Five IDF soldiers were killed in an incident Monday in which terrorists from Gaza infiltrated into Israel through an underground tunnel, raising the number of IDF casualties to 53. According to the IDF, the terrorist attempted to kidnap a wounded soldier during the incident. The event took place after one of the mortars fired from Gaza hit an IDF outpost, killing five more soldiers, turning Monday into one of bloodiest days for IDF forces since Operation Protective Edge began 22 days ago. Sgt. Nadav Raimond, 19, from Shadmot Dvora; Sgt Daniel Kedmi, 18, from Tsofim; Sgt. 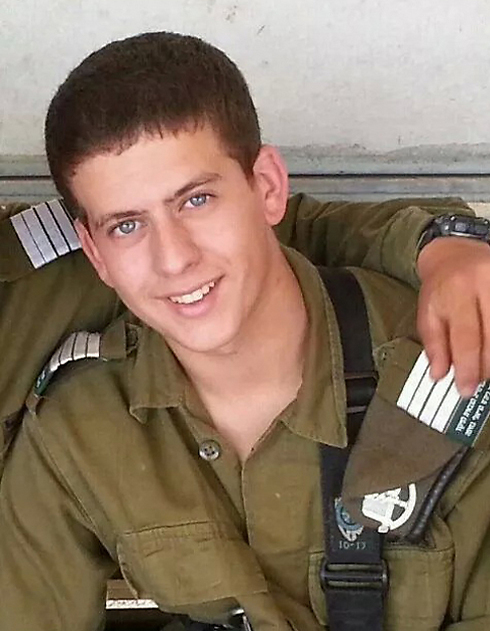 Barkey Ishai Shor, 21, from Jerusalem; Sgt Sagi Erez, (pictured above) 19, from Kiryat Ata; and Sgt Dor Dery, 18, from Jerusalem. At least four terrorists infiltrated Israel from the Gaza Strip on Monday evening, likely through a tunnel. IDF troops killed at least one of them. Earlier the army said all four were hit by IDF fire, and the alert level in the area was raised to the highest maximum. Army Radio said Hamas fired a rocket-propelled grenade at the soldiers who were in a watchtower and then tried to drag one of the soldiers' bodies into the tunnel back to Gaza, but failed when troops fired at them, killing one militant. Hamas said nine of its fighters carried out the attack. "They attacked a fortified military watch tower of Nahal Oz where there were a great number of occupation soldiers," the group's armed wing, said in a statement. A military source said that "four to seven terrorists penetrated into Israel through a tunnel near Nahal Oz. We knew about this tunnel, and today we'll continue to investigate it. "One of the soldiers on the outpost noticed that the terrorists were attempting to drag one of the wounded soldiers (into the tunnel) and opened fire. They left behind four Kalashnikovs and an RPG missile," he said.